Kevin John Willis of Stoneham is the Deputy Grand Master of Masons for 2017. The Deputy Grand Master is the second highest ranking officer of the Grand Lodge of Massachusetts, comprised of over 26,000 members in more than 225 lodges statewide. The Grand Lodge of Masons in Massachusetts is the oldest Grand Lodge in the Western Hemisphere and the third oldest in the world. It was chartered in 1733, following the establishment of the Grand Lodge of England in 1717 and Ireland in 1725. Paul F. Gleason, Grand Master of Masons in Massachusetts and the presiding officer in the state, handpicked Willis to serve as Deputy Grand Master. He will assist the Grand Master and preside over the Grand Lodge during his absence for the next year. He is also the Grand Master ex officio should the Grand Master not be able to complete his term. Gleason, of Winchester, was installed for a the first of his three one-year terms as Grand Master during the same ceremony. Willis is originally from Reading and graduated from Reading Memorial High School. He received his Bachelor of Arts from Northeastern University. He is also a graduate of Suffolk University Law School in Boston. He is a Senior Attorney in the Private Client Group with Ropes & Gray, Boston. Since 2003 he has served as a Volunteer Lawyer for the Day at the Suffolk Probate and Family Court. In 2008, he received the Deborah Levi Award for Outstanding Pro Bono Service. Very generous with his time and talents, Willis belongs to the United Methodist Church of Woburn. He was Chair of the Board of Trustees between 1994 and 2003. 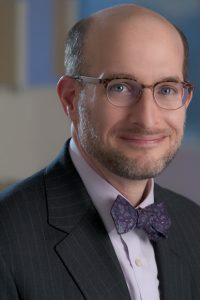 He is a member of the Trusts and Estates Section of the Boston Bar Association; and, a member of the Probate Law Section for the Massachusetts Bar Association. Willis and his wife, Carol, live in Stoneham with their two children. Brother Willis began his Masonic career in 1997 when he joined Mount Horeb Lodge in Woburn. He served as the Worshipful Master (or presiding officer) in 2010 and 2011. Masons use the original definition of the word worshipful: honorable. English mayors and judges are addressed by the title of “Worshipful” even today. As Deputy Grand Master, members of the fraternity will call Brother Willis “Right Worshipful.” He is a Trustee for the Lodge. Additionally, Willis belongs to Golden Rule Lodge in Wakefield, Samuel Crocker Lawrence Lodge in Medford, and Somerville Lodge in Woburn. He first served the Grand Lodge as a member of the Grand Lodge Development Committee from 2008-2010. He was appointed Grand Steward in 2011. That same year he was awarded the Joseph Warren Medal for Distinguished Service. In 2012 he joined the Board of Directors, a position he still holds today. He was a Grand Lecturer in 2012 and 2013, and a member of the Audit Committee in 2013 and 2014. In 2014 and 2015, Willis was a District Deputy Grand Master of the 13th Masonic District. Active in several Masonic organizations, Willis is a 32° Mason in the Ancient Accepted Scottish Rite – Valley of Boston. He currently serves in the position of Guard in Mount Olivet Chapter of Rose Croix. He is a member of Saint Paul’s Royal Arch Chapter, Boston Council of Royal & Select Master Masons, and Boston Commandery No. 2 and St. Bernard’s Commandery No. 12. He is also a member of the Aleppo Shrine Temple in Wilmington.